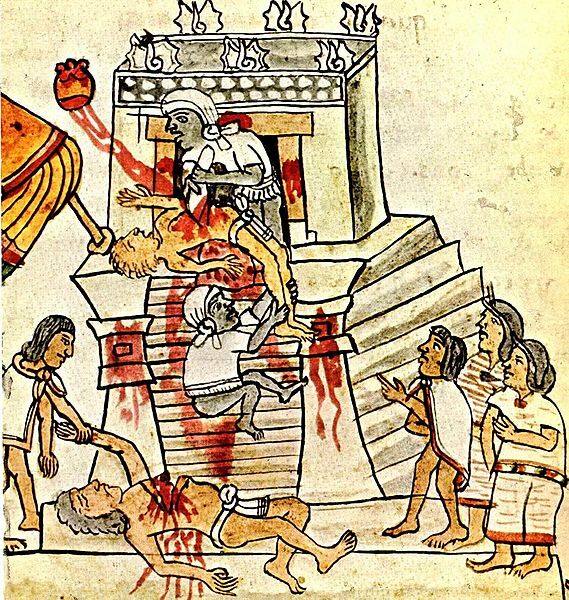 As Aztec warriors showed their courage and craftiness in battle and skill at capturing enemy soldiers for sacrifice, they gained in military rank. The Aztec emperors honored the higher ranks with weapons and distinctive garb that reflected their status in the military. Aztecs warriors carried projectile weapons such as bow and arrows to attack the enemy from afar. They also carried weapons for the melee when armies came together. The lowest ranks of warriors carried a club and shield. Higher ranks were awarded finer weapons. 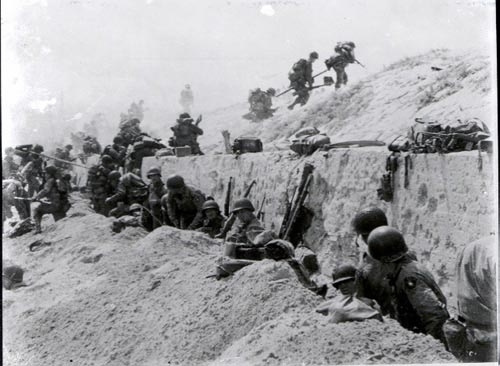 Each rank in the army wore special clothing that denoted the honors they had won. The atlatl was a spear thrower, which produced greater force from a greater distance. Only the highest ranks were allowed these weapons as they were in the front lines of the battle. Each warrior carrying the atlatl also carried many tlacochtli, 5.9 foot long spears tipped with obsidian. The tlahhuitolli was a five foot long war bow strung with animal sinew. Warriors carried their arrows, barbed with obsidian, flint or chert and fletched with turkey feathers in a micomitl or quiver. Quivers could hold about 20 arrows. Aztec warriors and hunters carried slings made of maguey cactus fiber. The warriors collected rocks as they marched. They also made clay balls spiked with obsidian and full of obsidian flakes. Even well armored enemies could be wounded by these. Blowguns and poisoned darts were more often used in hunting, but Aztec warriors trained in ambush would bring along their tlacalhuazcuahuitl and darts tipped with poisonous tree frog secretions. 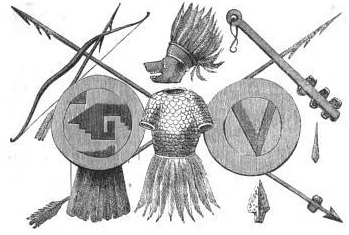 Aztec warriors carried different types of clubs. The macuahuitl club was edged with obsidian blades. While the obsidian shattered easily, it was razor sharp. A macuahuitl could easily decapitate a man. A macuauitzoctli was a long club made of hardwood with a knob on each side. A huitzauhqui was a baseball bat type club, although some of these were studded with obsidian or flint. A cuahuitl was a club shaped like a baton, made of oak. A cuauololli was basically a mace, a club topped with a rock or copper sphere. Tepoztopilli were spears with obsidian points. Itztopilli were axes shaped like a tomahawk with a head of either copper or stone. One edge was sharpened, the other blunt. Tecaptl were daggers with handles seven to nine inches long. They had a double sided blade made of flint. Aztec warriors drew their tecaptl for hand-to-hand combat. Aztec warriors carried round shield made of wood that was either plain or decorated with their military insignia called a chimalli. The higher rank warriors had special chimalli with a mosaic of feathers denoting their society or rank. Basic Aztec armor was quilted cotton of two to three thicknesses. The cotton was soaked in salt brine then hung to dry. The salt crystallized in the material, which gave it the ability to resist obsidian blades and spears. An extra layer of armor, a tunic, was worn by noble Aztec warriors. Warrior societies also wore a helmet made of hardwood, carved to represent their society or different animals like birds or coyotes. Tlahuiztli were special suits awarded to various ranks of the military. 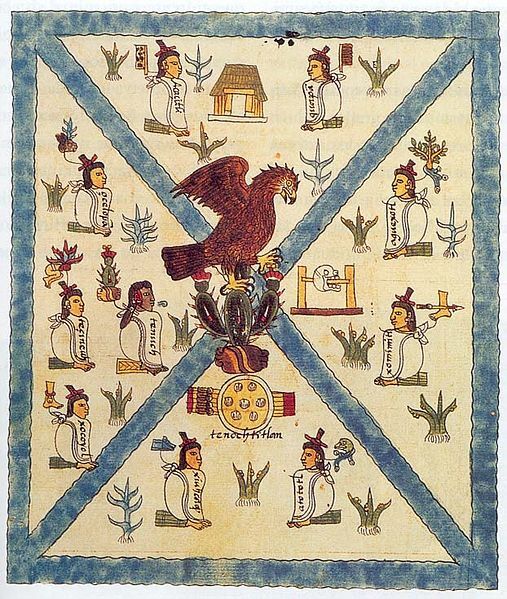 Each rank wore different colored and decorated tlahuiztli to make them easily distinguished on the battlefield. Each rank also wore pamitl or military emblems. 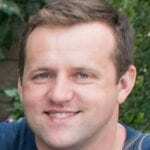 This article is part of our larger resource on Aztec civilization. For a comprehensive overview of the Aztec Empire, including its military, religion, and agriculture, click here.